Spacious 7 Room, 3 Bedroom 2 Bath Home Being Sold "Turn Key" with all Household Goods! Being a nice ready to move into 2 story frame home with vinyl siding, shingle roof and covered porch. Situated on a level apx. 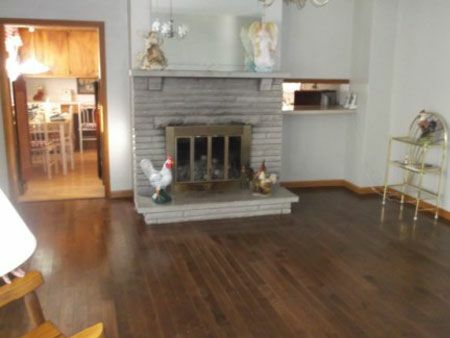 24 ft. by 198 ft. lot, with rear alley access, home offers natural wood work & hardwood floors. The downstairs consists of carpeted parlor, living room with hardwood floors, family room with hardwood floors, limestone hearth & mantle fireplace, eat-in kitchen with top & bottom cabinetry, built-in double flair oven, dishwasher, cook top range and light Oak Pergo floors, the downstairs is completed with a full shower bath. The upstairs offers 3 bedrooms and full bath with shower over tub, 2 of these bedrooms have nice size walk-in closets, and have wood plank floors. The basement has brick foundation & brick floor, washer/dryer hookup, gas furnace, 100 AMP electric, City Water & Sewer, 2 electric meters. Real Estate Terms: Terms: $35,000.00 Min. 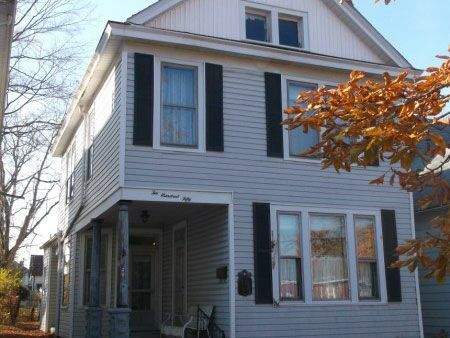 Bid, $5,000.00 down at time of sale by cash or check w/ photo ID; balance & possession upon delivery of deed on or before April 14th 2013, Joseph E. Motes, Atty., conducting closing, 13 S. Paint St., Chillicothe, OH 45601, 740.774.9421. Taxes Prorated to day of closing, taxes are $1,388.68 yr.; property offered free & clear prior to closing, sold in it’s present as– is condition. No buyer contingencies exist, no expressed or implied warranties given. All information provided is to be utilized as a guide and announcements made by the Auctioneer from the podium take precedence over any and all previous statement or printed material. No liability exists regarding the information contained in any printed matter for its accuracy, errors or omissions. Bidding is open, just call out, raise your hand or watch the ring personnel…they will assist you and try to get answers to any questions you may have prior to bidding. Statute of Limitations: Any action or suit of any kind must be commenced within one year from the date when the cause of action or suit occurred or it will be forever barred. The Right of Action or suit will begin to run on the date of breach, damage or injury is sustained & not when the resulting cost, damage, harm or loss is discovered. This Agreement will be exclusively construed & governed in accordance with the laws of the State of Ohio, without regard to its conflict of Laws Principles. The exclusive jurisdiction & venue for any controversy or claim between the parties shall be the State of Ohio, County of Ross, City of Chillicothe, by binding arbitration.